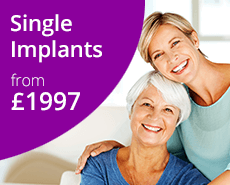 Restore your teeth with ceramic fillings and crowns that are almost identical to your own teeth - in a single visit! The Dental Health Centre Grantham has invested in Cerec technology that enables us to design, create and fit a porcelain filling, dental crown or veneer during a single appointment - something that could have taken at least two weeks and required multiple visits in the past. 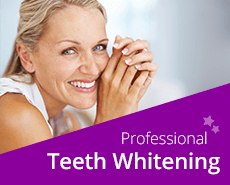 All restorations are perfectly colour-matched to your existing teeth and the work can be completed during your appointment without the need for impressions or temporary fittings. Porcelain fillings crafted using Cerec are much stronger and more durable than large amalgam (silver) or white filings. How can you make a porcelain filling or crown in 1 visit? After making you comfortable, the broken tooth is smoothed and any old filling or decay removed. Healthy tooth tissue is left, so this technique is far more conservative than conventional crowns. The Cerec camera is then used to take a picture of the teeth. This is very quick and generally eliminates the need for a traditional impression that many patients dislike. You can then relax while your dentist designs the new restoration on the computer. Within a matter of minutes the crown is milled and ready to bond to your tooth. Stronger Emax crowns are processed in a ceramic furnace to add extra strength and character, and so take about another 30 minutes. Total time for treatment is one, to one and a half hours and the tooth is restored to its former glory in just one visit. Would you like to find out more? Please call us and we’d be happy to explain. In addition to crowns and veneers we can also make crowns for implants and great looking bridges in one visit. The materials that we use are Empress, Emax, Lava Ultimate and now Vita Enamic. Take a look in your mouth, does it look like a museum? If your teeth look like the picture on the left, would you prefer that they looked like the one on the right? 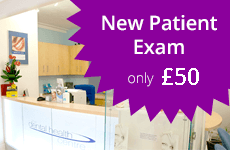 If so you need to come and see us at the Dental Health Centre. Everybody at the Dental Health Centre was very pleasant and helpful. I felt very well treated and informed throughout.